Improved health, happiness and house prices – whatever your motivation, the benefits of green space projects are many and varied. 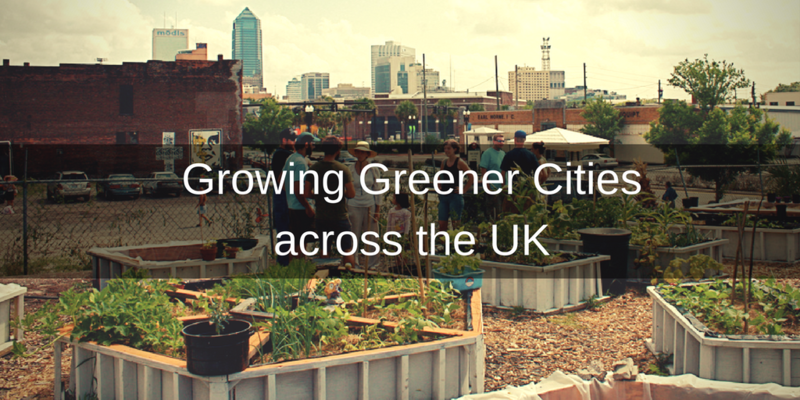 So whether you’re looking to reduce air pollution, encourage outdoor activities or improve the aesthetic of the local area – environmental projects, from community greenhouses and urban orchards to living walls and hanging gardens, can help. And over at Spacehive we have a number of great funds on offer that could help bring your green space project ideas to life. Better Communities, Growing a Greener Britain, Barclays Life Skills and Our Manchester are just four of our Spacehive partners supporting crowdfunding projects that help develop green spaces around the UK. Tritton Vale Pocket Garden raised over £3,000 from 49 backers, including Better Communities, to transform a neglected strip of land into a beautiful garden for the whole community to enjoy. The Islington Gro-mobile raised over £15,000 from 78 backers, including Barclays Life Skills and Growing a Greener Britain, to turn an old mil float into a mobile potting shed and nature classroom. Heroes Wood raised over £51,000 from 87 backers, including Our Manchester, to create a WWI centenary woodland.